Life is hard, and aging can be difficult emotionally and physically on the body. One cannot feel beautiful on the outside when inner healing is needed. 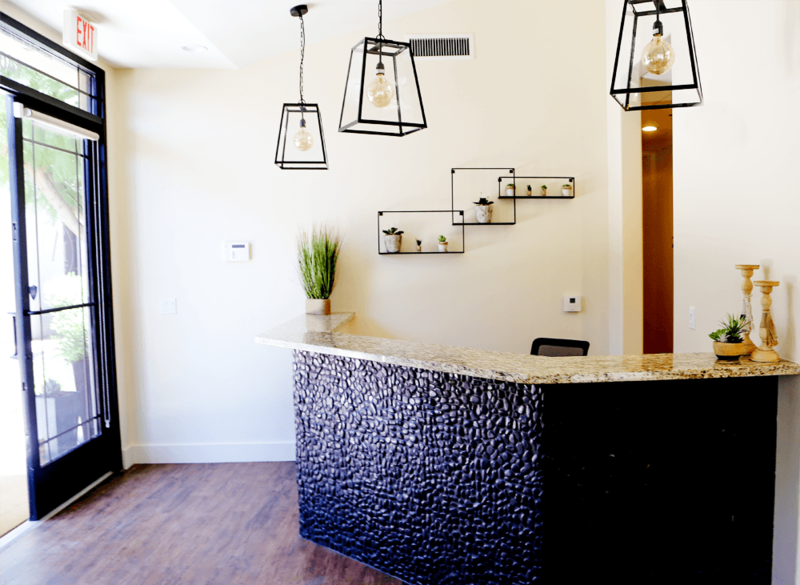 iA Beauty & Wellness has created a special place that is unlike ordinary med spas. 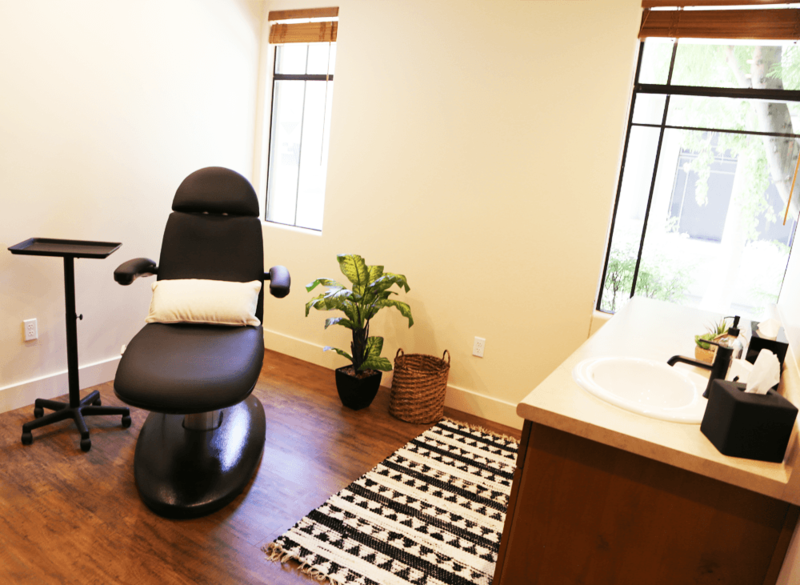 This treatment is the complete package individualized for your skin’s needs! It includes a cleanse, exfoliation, steam, extractions and a specialty mask designed just for you. Bonus. . . an eyebrow and lip wax is included! A classic facial with the Advanced Oxy Treatment. Say hello to fresh, radiant skin! This treatment stimulates circulation by drawing oxygen to the skin’s surface. Perfect for stressed, dull and congested skin. A perfect treatment before any special event, and fantastic peel alternative for a pregnant mommy to be! A Classic Facial with a Glycolic Peel Treatment. Glycolic acid works to stimulate the growth of new skin cells and collagen. Perfect for enlarged pores and great for aging skin. This treatment comes complete with a custom mask, all the goodies in the classic facial and has no downtime leaving the skin fresh, dewy and ready for any occasion! Ready to turn back the hands of time on your skin? This amazing treatment facial will address all the signs of aging skin which include dark spots, fine lines, wrinkles and enlarged pores. The skin is treated with a combination of natural acids, vitamin C, facial massage and LED Red Light Therapy to stimulate collagen production, circulation and rejuvenate stressed skin. This advanced treatment comes complete with all the goodies included in the classic facial and much, much more! A classic facial with a chemical free exfoliation treatment that removes the top layer of dull, dead skin, as well as unwanted peach fuzz. Allows professional skincare products to be better absorbed, leaving your face smoother and brighter with immediate results and no downtime. This treatment is a Maddux Skin Spa favorite! Remove 2-3 weeks worth of dead skin, all your unwanted “peach fuzz” and topped off with a Glycolic treatment! This combo will leave you resurfaced, hydrated and ready for any occasion! Recommended every 4 weeks! A classic facial with a chemical free exfoliation treatment that encourages the production of collagen and elastin, battling fine lines and wrinkles. This treatment improves skin’s appearance by removing the top layer of dull, dead skin, and reveals younger, healthier-looking skin. Microdermabrasion is a chemical-free resurfacing treatment that treats the outer layer of skin. This rejuvenating treatment comes with a custom mask and focuses on scar tissue, enlarged pores, hyperpigmentation and sun damaged skin. Combined with any facial or peel, this treatment will leave your skin soft and smooth with no down time! Micro-Needling targets deep acne scarring, hyperpigmentation, melisma, thinning skin, fine lines and wrinkles. This advanced procedure stimulates your skin resulting in increased production of collagen and elastin. Followed by LED Light Therapy for advanced healing and skin cell/collagen renewal! With little to no downtime and virtually painless, your skin will feel softer, fuller and more youthful! Series of 3 and 5 available , inquire for pricing discounts! This treatment is perfect for teens who are starting to notice congestion in their skin, wanting to learn about taking care of their skin or if you as a parent want them to get a head start on preventing acne! Facial cleansing, steam, extractions and high frequency to kill any remaining bacteria leaving your teen’s skin clean and blackhead free! Please note: If your teen’s skin is active with acne, the Advanced Teen Acne Treatment is a better option. Teen Acne Treatment… and add a brow wax! This advanced PCA peel is customized to any skin type and condition. Whether you are struggling with acne, scarring, hyperpigmentation, fine lines, wrinkles or just overall uneven skin texture, this is the perfect solution. Virtually pain free with little to no post peeling, it comes complete with a 5 day post peel kit. Deep peels are recommended in a series of 3 or 5 treatments. (special package prices available) The road to skin recovery starts here! Traditional Chinese medicine such as Cupping therapy has been around for thousands of years and has been used to treat patients across many different cultures. Cupping is based on the belief that by creating vacuums using cups on specific points of a patient’s body, the life force within that person’s body can be restored to its equilibrium and cure illnesses. All obstructions, pain and inflammations are removed to promote a sense of peace and well-being. Cupping promotes blood flow and calms the nervous system while improving blood circulation. It is a widely recognized form of traditional Chinese medicine. The suction and negative pressure provided by cupping can loosen muscles, encourage blood flow, and sedate the nervous system (which makes it an excellent treatment for high blood pressure). Cupping is used to relieve back and neck pains, stiff muscles, anxiety, fatigue, migraines, rheumatism, and even cellulite. Cellulite cords or bands are treated when the cupping suction is applied on the skin, the reverse pressure causes the cellulite to break up. Blood circulation is stimulated, and the fat and toxins that are released are moved to the lymph drainage network. Cupping is also known to ease the cords connecting the skin and muscle. Reducing fluid retention and giving the skin a more cellulite-free healthy appearance. 20-minute treatment. Multiple treatments recommended. A rejuvenating treatment that decreases fine lines and wrinkles, while stimulating collagen and elastin in the skin naturally. A massaging motion done during facial cupping can also help to relax tense muscles and helps stimulate the facial tissue to promote healing. In addition to these benefits, it can help improve the symptoms of headaches and migraines, facial paralysis, sinus infections, and even earaches. 20-minute treatment. Recommended twice weekly. This cupping method is a procedure to help remove harmful toxins from the body by bringing them to the surface. The blood will flow into the capillaries under the skin, and the treatment will move the toxins to the surface of your skin and through the lymphatic system. This treatment is beneficial for post-surgical clients, or clients with poor circulation. It also aids in digestion and cleansing. Reset your digestive system with massage, foot reflexology, and abdominal cupping of the small and large intestine. 30-minute treatment. Recommended 2x per week for one month. Realign your organ systems with the healing power of magnets, herbal compress with warm oils, plantar cupping, and reflexology. In this refreshing and rejuvenating ancient Indian therapy, the entire body is anointed with warmed herbal oil with compress using rhythmic movements. Basti-localized treatments, and Shirodhara (dripping of oil over the chakras and forehead). It’s based on the belief that health and wellness depend on a delicate balance between the mind, body, and spirit. So incredibly pleased! I have been going to Jennifer for Botox and filler injections (Voluma in cheeks, juvederm in lips and naso folds) for over a year now and the results she leaves me with are fantastic every time! Jennifer is more than a master injector...she is like an artist: highly skilled with an uncanny eye for detail. 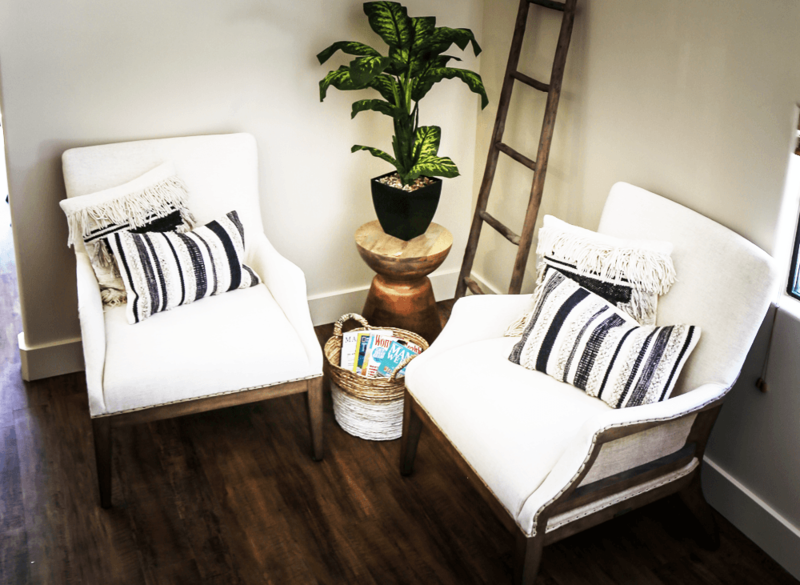 I had come to Jennifer as a complete newbie to Botox and fillers, and had a ton of questions: Jennifer took the time to answer each and everyone and addressed all my concerns. Throughout each of the procedures she paused and asked input or feedback from me before moving on. Yesterday, I walked out of her office feeling as if she had taken years off my face. My lips and cheeks look amazing! I don't think there is anyone out there in the field who is more highly qualified...I could never go to anyone else!